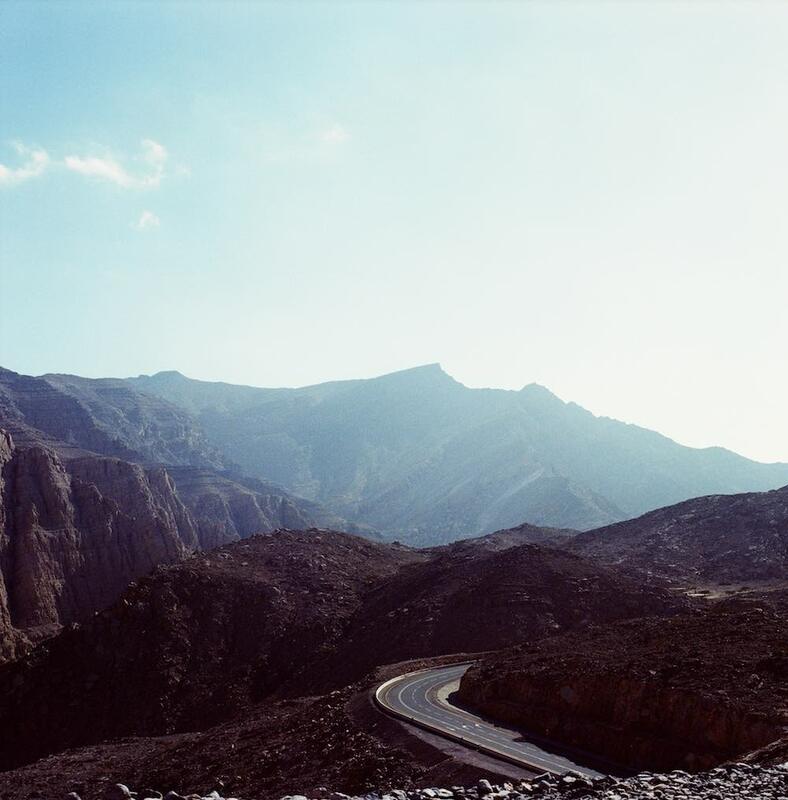 Earlier this month I drove to Jebel Jais in Ras Al Khaimah, the highest point of the United Arab Emirates, at 1,892 m (6,207 feet) above sea level. It is approximately two hours from Dubai. I had heard about the zig zag road that goes up the mountain and read about the mountain, so I wanted to experience it in person and to take photos too. I recommend you make this trip if you haven't already, especially before it starts getting hot. There are a few toilet stops along the way to the top of the mountain and at one point there are a couple of food trucks too. Yes, food trucks. They really are everywhere today. There are no petrol stations nearby so make sure you have a full tank before heading to the mountain. I noticed lots of families finding picnic spots, and unfortunately, I also noticed lots of rubbish left behind. Despite the availability of dustbin by the local municipality and the signs about getting fined for not throwing rubbish in dustbins. It's upsetting to see people not cleaning up after themselves and maybe there needs to be a mountain patrol system that drives around, especially on weekends to make sure people don't leave their rubbish behind. Here are the photos I took, these were shot on 35mm and 120mm film, I have not taken photos with my film camera for a while and glad to be carrying it with me again. There's also one video clip too. I stumbled upon this celebration during the drive up the mountain. Was told it was to celebrate a new born baby. Exhibition and Talk Series: Is Old Gold?